Established in 1998, Education Canada College is a Canadian operated organization dedicated to educational development of its students. Although locally serves Montreal community, majority of its students are from international destinations studying online from more than 50 countries. 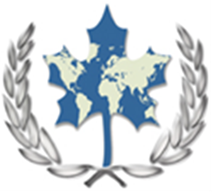 TESOL College of Teachers is a specific branch of Education Canada College that works under direct supervision of TESOL Canada dedicated to training developments of language teachers in twelve languages. Programs in TESOL College of Teachers are directed toward Teachers Certification and Employment opportunities in Canada, USA or around the world. Various teaching positions are available in Canada, Asia and Europe for which ECC will provide referrals upon graduation. Programs are tailored to train Teachers of English through accredited TESOL Certificate Program, Teachers of French with TFSOL, Teachers of Spanish with TSSOL, Teachers of Chinese with TCSOL, Teachers of Arabic with TASOL, Teachers of Korean with TKSOL and Teachers of Japanese with TJSOL Certificate Programs which are available as group classes online or onsite. Additional programs in Russian TRSOL, in German TGSOL, in Portuguese TPSOL, in Turkish TTSOL and in Italian TISOL are also available as online private sessions. Furthermore, TESOL College of Teachers directly supervises Specialized Courses in Teaching English to Children TEC, Teaching French to Children TFC (EFE Enseignement de français a les enfants), Teaching Spanish to Children TSC, Teaching Arabic to Children TAC, and Teaching Chinese to Children TCE, Teaching Business English TBE, Teaching Academic English TAE and Teaching Academic Subjects TAS. Accredited TESOL certification is a gate way to success in the field of teaching languages. Employers seek your qualifications and Education Canada College is there to provide the best of it’s kind in TESOL education through online studies. To learn more please visit specific pages related to your course of interest from the drop down menu above.